It's never too early to think about next Christmas right?! :) Just kidding! Wanted to share a popular Make n' Take we did at our Christmas Cookie Exchange back in December. 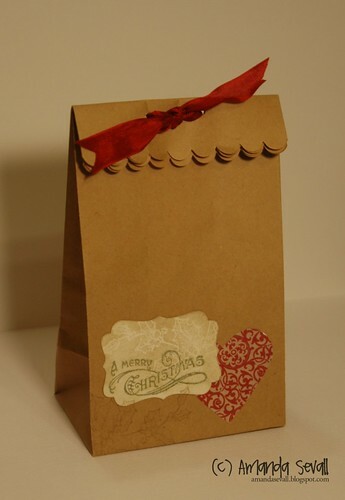 All the stamps, papers and adorable mini lunch sacks used on this project are retired now... but I'm sure there will be some fabulous new products next fall to take their place for Christmas!